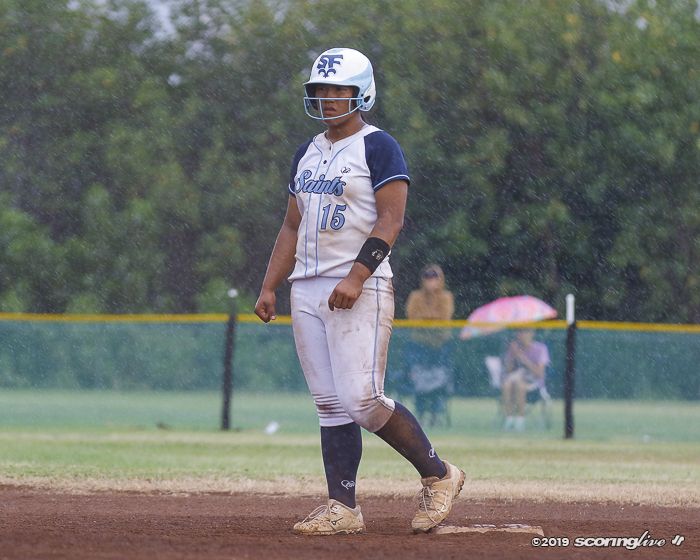 ALA WAI — Kaena Keliinoi belted a couple of solo home runs, including the go-ahead run in the bottom of the fifth inning, to help No. 8 Saint Francis knock off No. 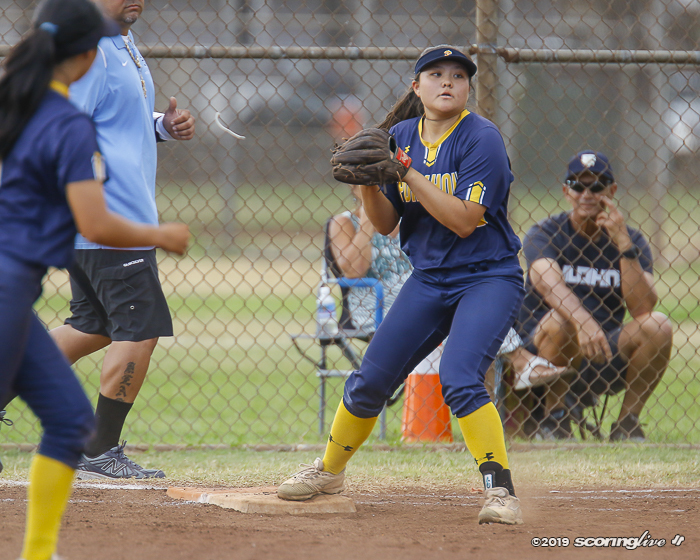 6 Punahou in Interscholastic League of Honolulu softball at Ala Wai Community Park Friday afternoon. 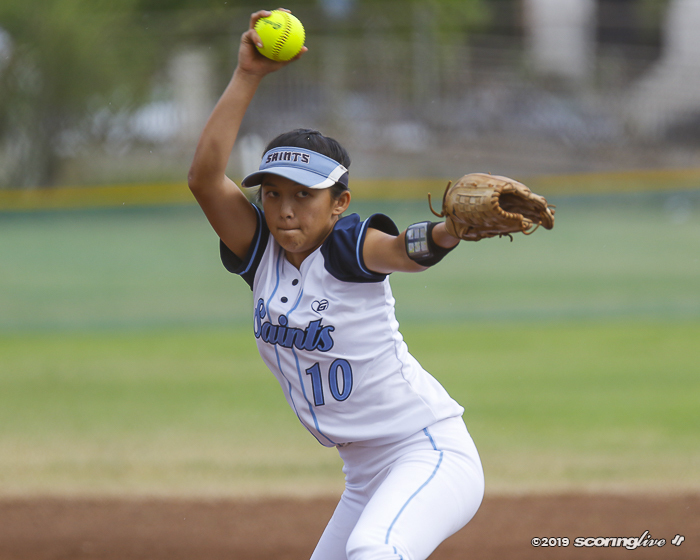 The Saints (11-4) tallied 11 hits from seven different players and used two pitchers to pick-up their seventh win in eight games, including three straight. 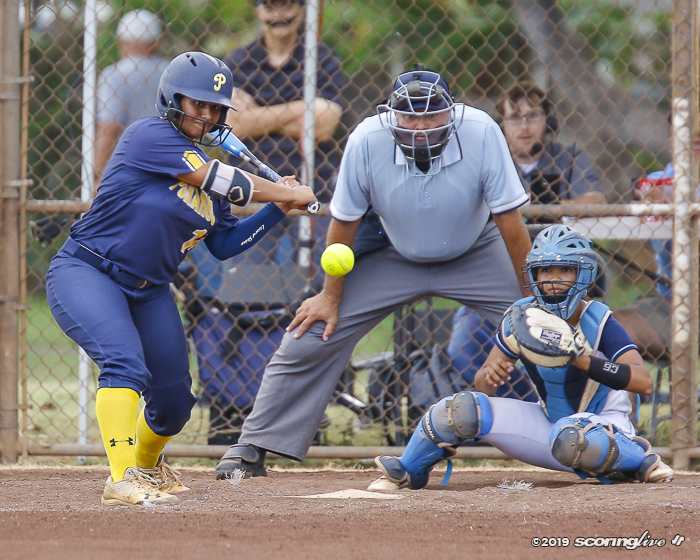 The reigning Division II state champions avenged a one-run loss to Punahou three weeks earlier. 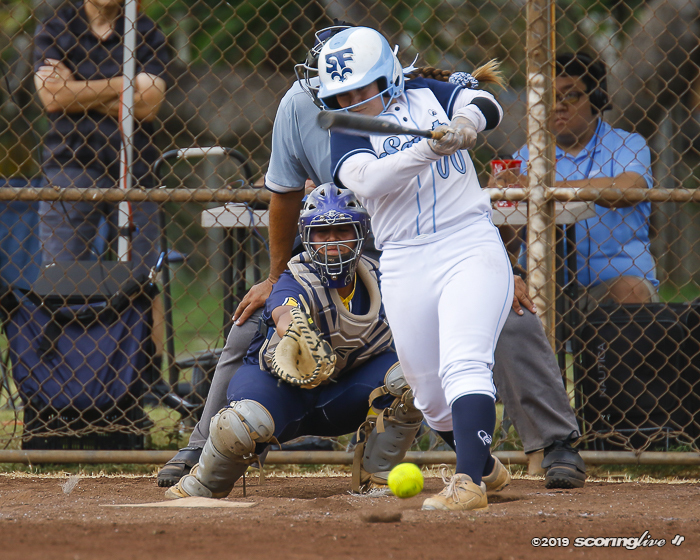 The Buffanblu (13-3) suffered their first loss since Feb. 27. 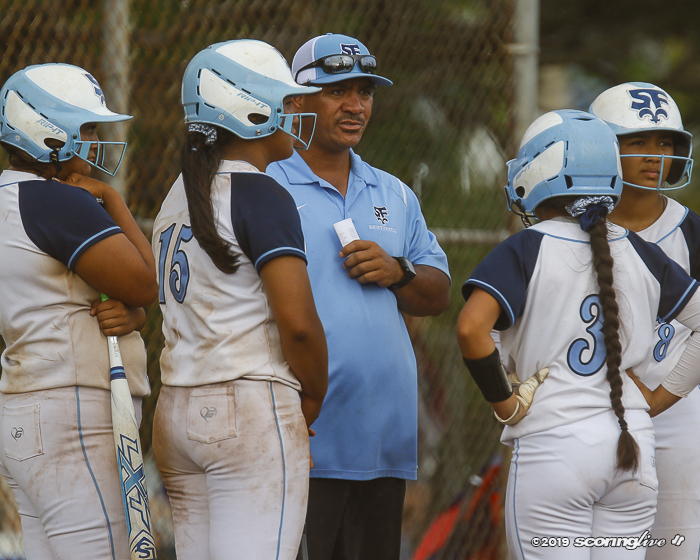 They completed the 16-game first round of the ILH schedule tied with No. 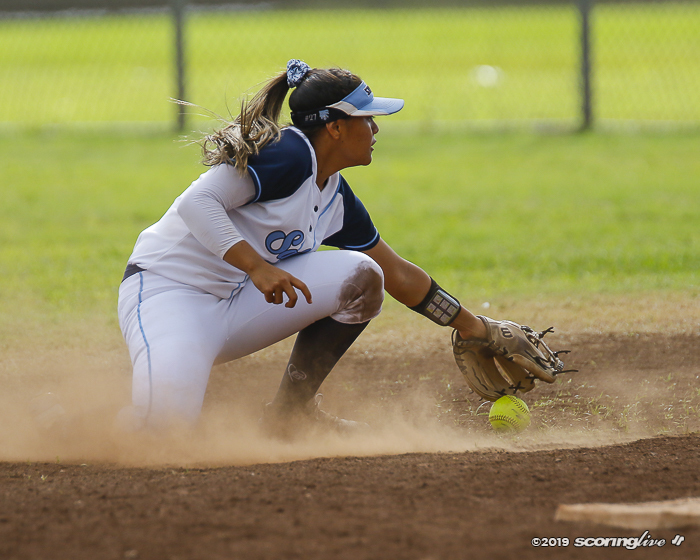 7 Iolani — a 4-2 winner over ninth-ranked Maryknoll Friday — atop the league standings. 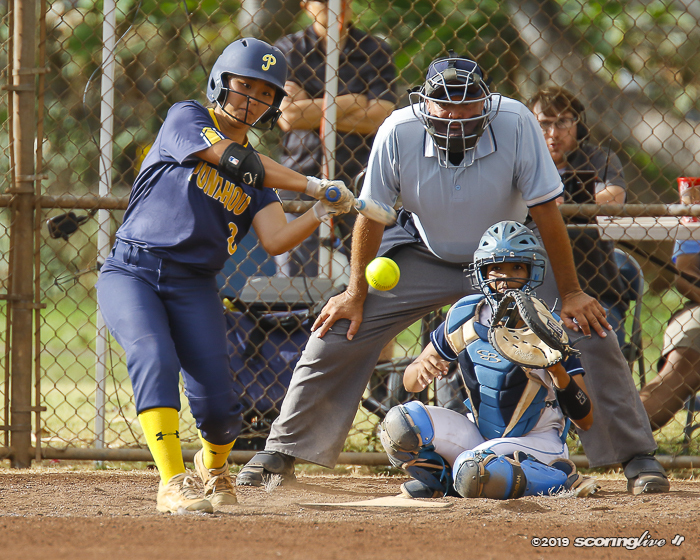 The teams will meet in a one-game playoff Monday, 4 p.m. at Punahou. 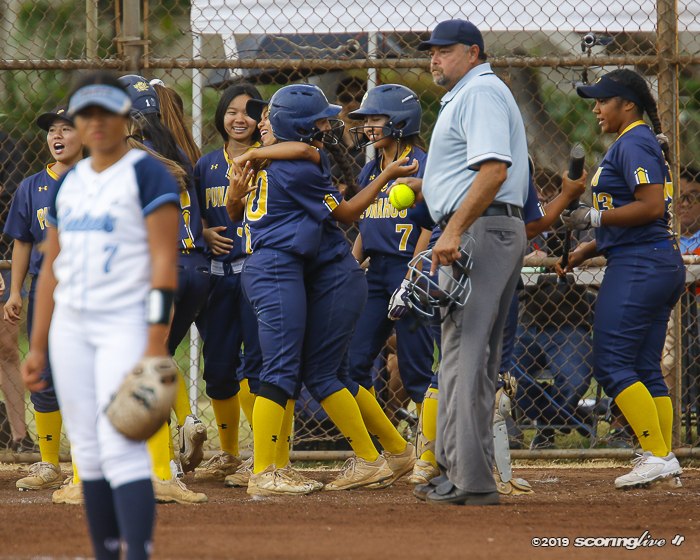 The winner of that game will clinch one of the ILH's three spots in the D1 state tournament and earn the top seed in the single-elimination tournament second round. 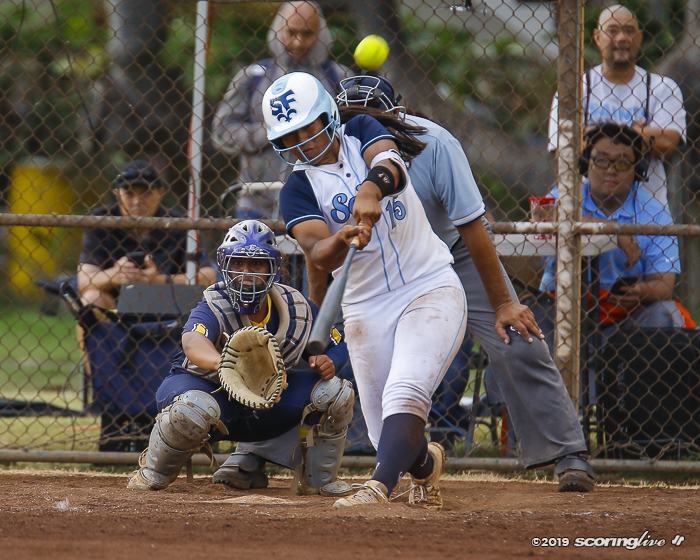 "It helps us build confidence and getting us reps for the D2 (state tournament), even though they're a D1 team," Keliinoi said of the impact of Friday's win. 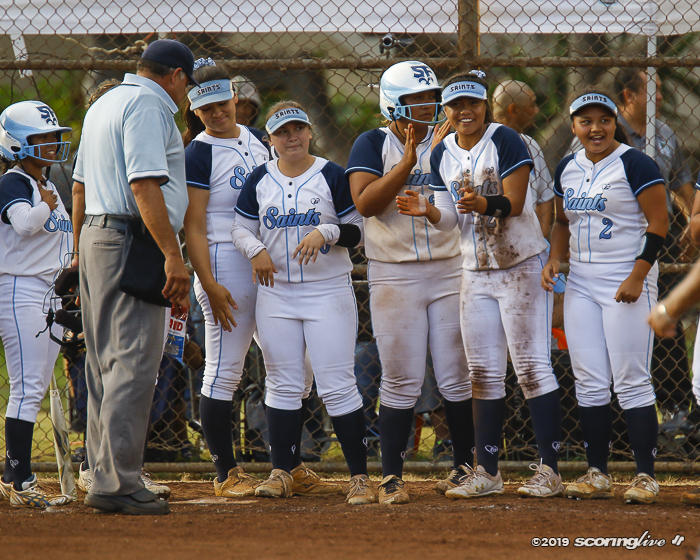 "That just showed that we were getting ready for this game, because to us it was like an ILH championship game. 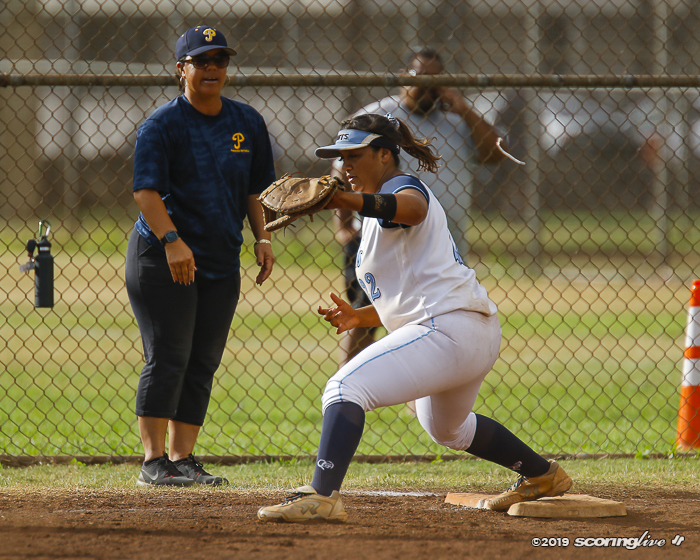 Hats off to (Punahou) but our bats were here and our defense — even though we had little errors — our defense was there, too and hats off to the pitchers because they did an amazing job." 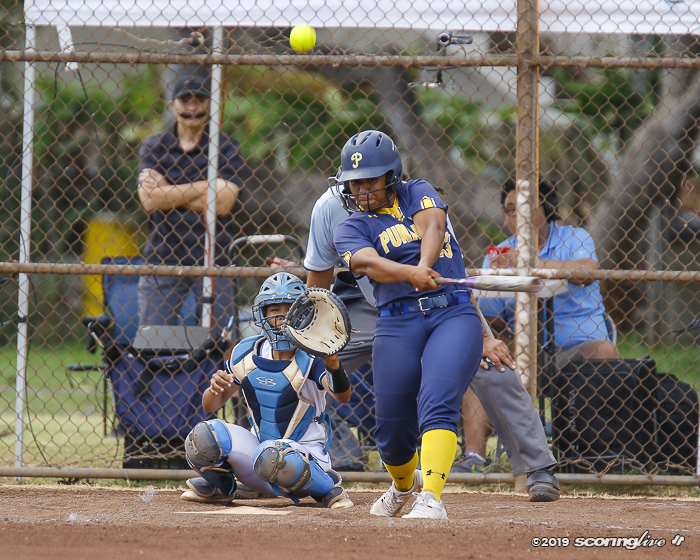 Keliinoi, a senior catcher and leadoff batter, popped out to center field in her first at-bat, but went on to homer in each of next two times up. 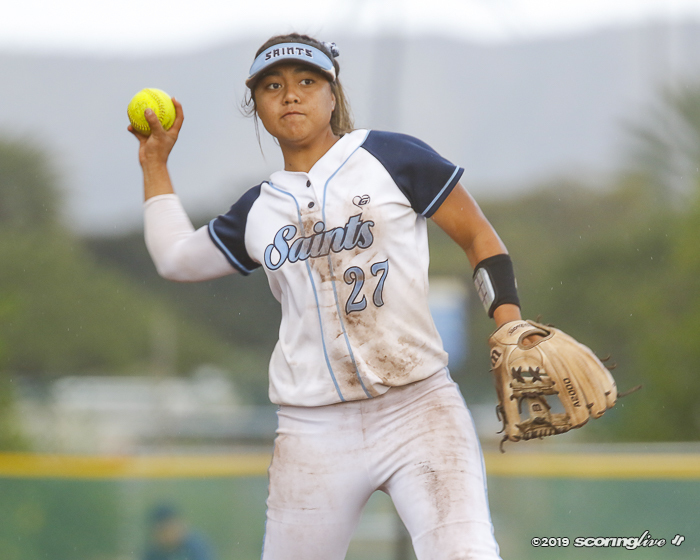 She also came around to score as one of four sixth-inning insurance runs for the Saints after being hit by a pitch in her final plate appearance. "That was huge. 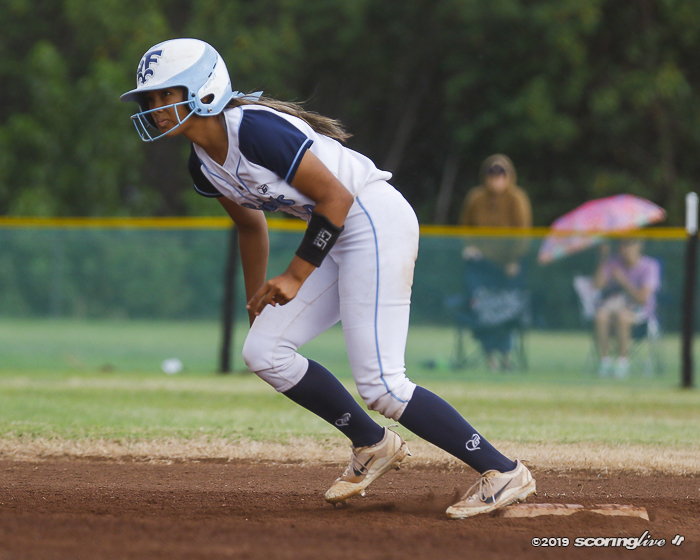 She's been great for us, not only at the plate, but behind the plate she's been outstanding," Saint Francis coach Randy Langsi said of Keliinoi, who is signed with the University of Hawaii. "She calls her own game. I mean, we do go over pitches prior to the week. 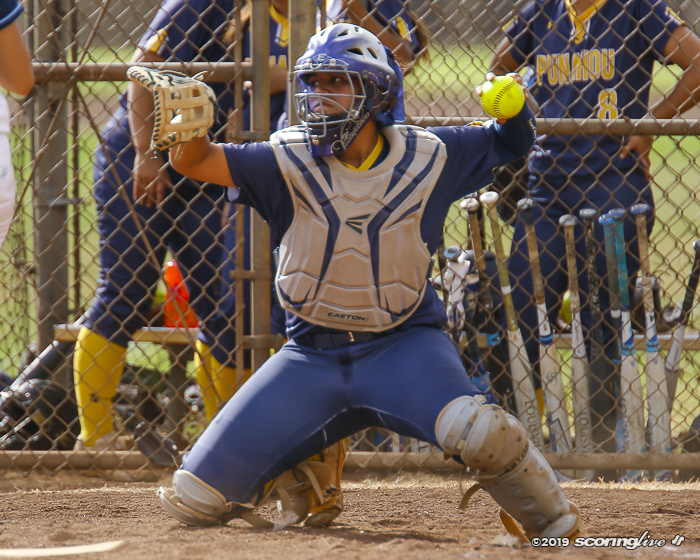 We talk about what's a good pitch, how we're gonna pitch to ‘em, but she manages the pitchers, she also manages the team and she does an outstanding job as a catcher. 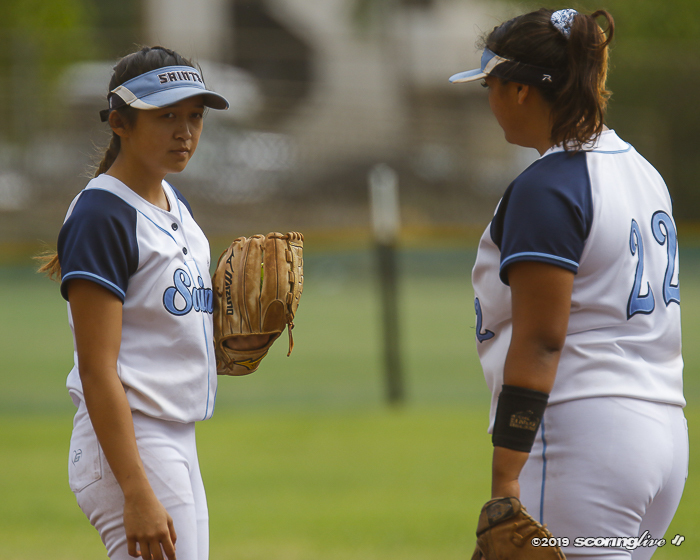 She manages the game really well." 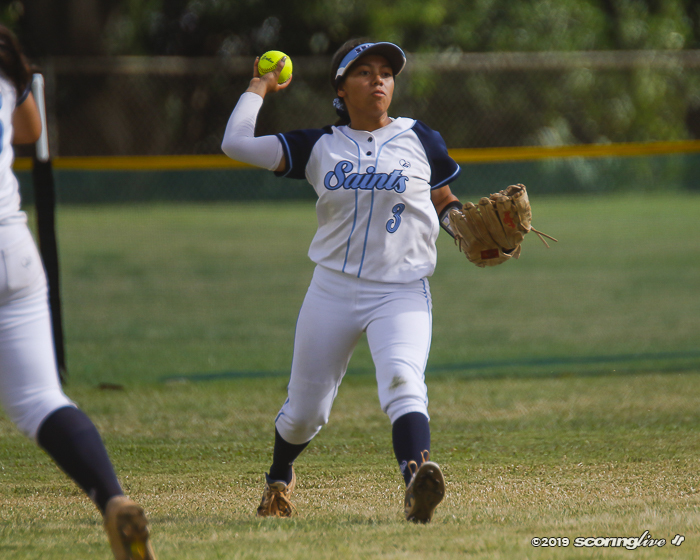 Keliinoi has hit anywhere from the leadoff spot to the three-hole this season. 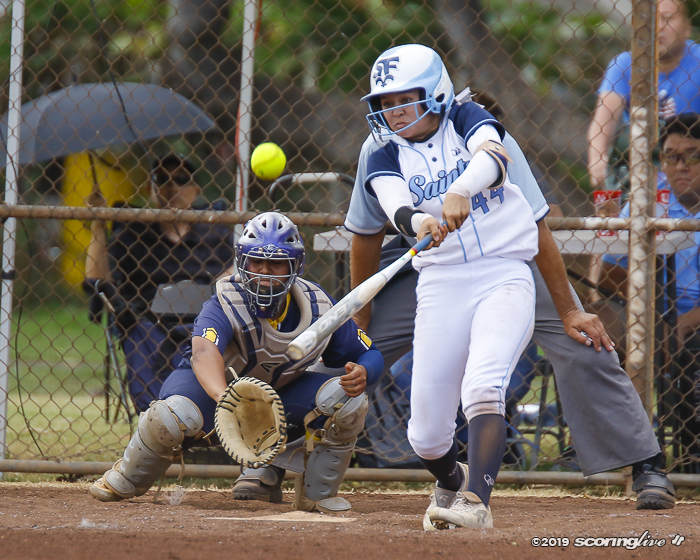 Langsi said he contemplated batting her second Friday. 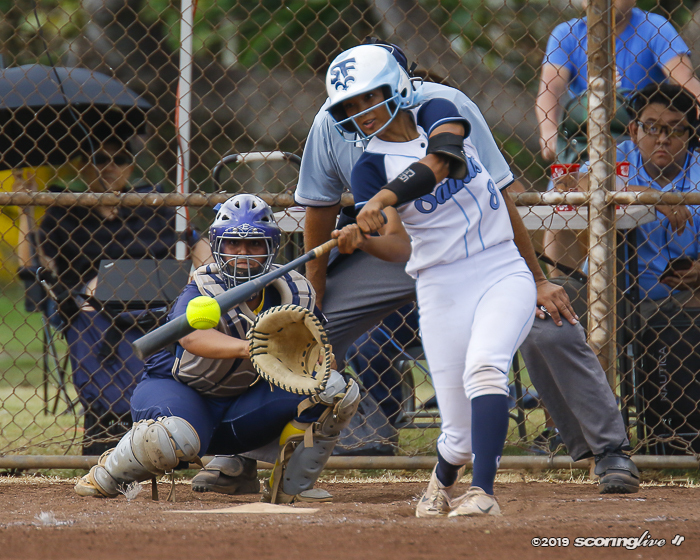 "Wherever coach needs me," Keliinoi said. 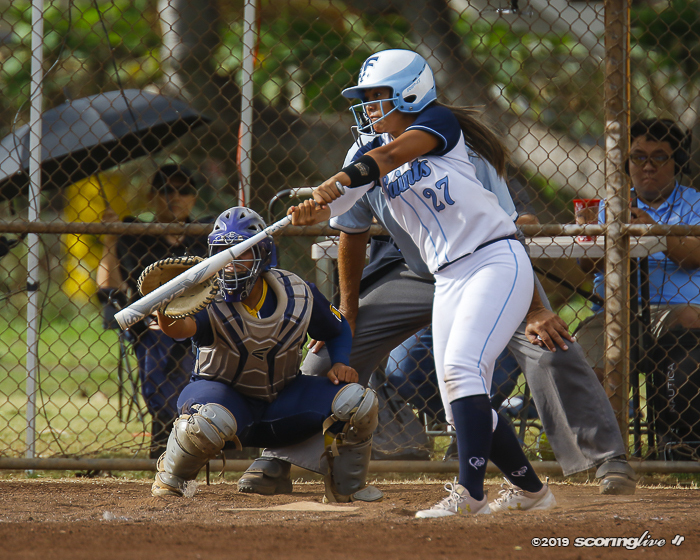 "I'm used to my teammates relaying the information to me, but my first at-bat I had to make sure my eyes stayed on the pitches so I could help my team out when they go in the box." 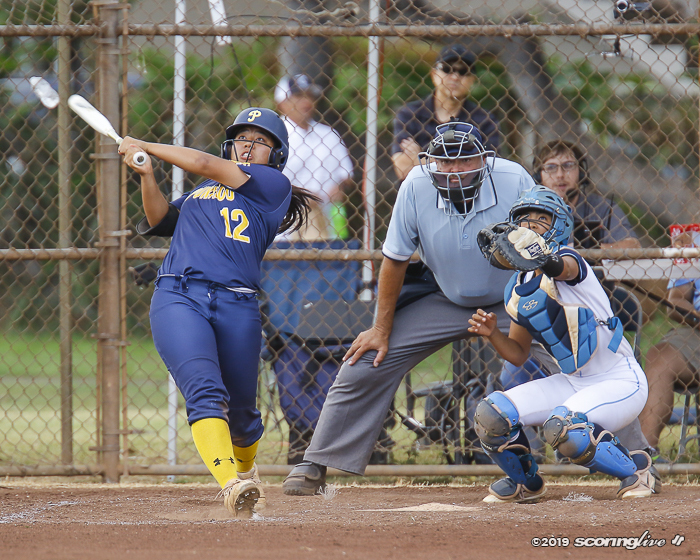 The first-inning pop-up off Keliinoi's bat came off a change-up from Punahou pitcher Ashanti Martinez. 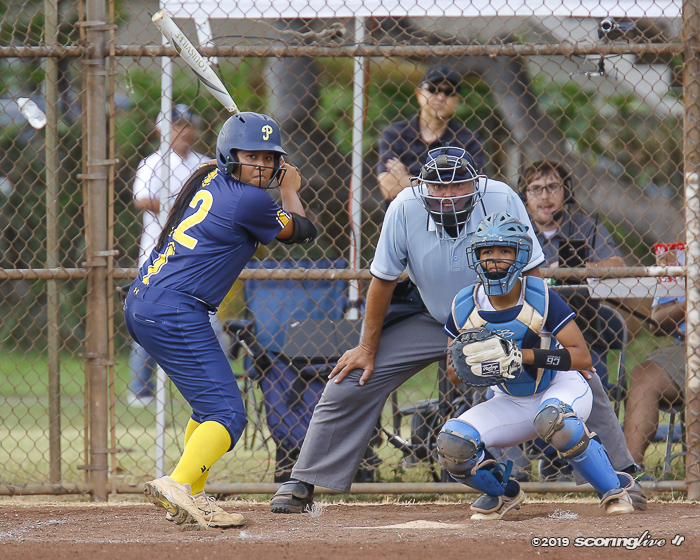 "My first at-bat (the change-up) just got ahead of me, so I told myself that the next at-bat it's not gonna beat me and that I'm gonna get this one and I guess it was a mis-pitch and I stroked it to left," Keliinoi said. 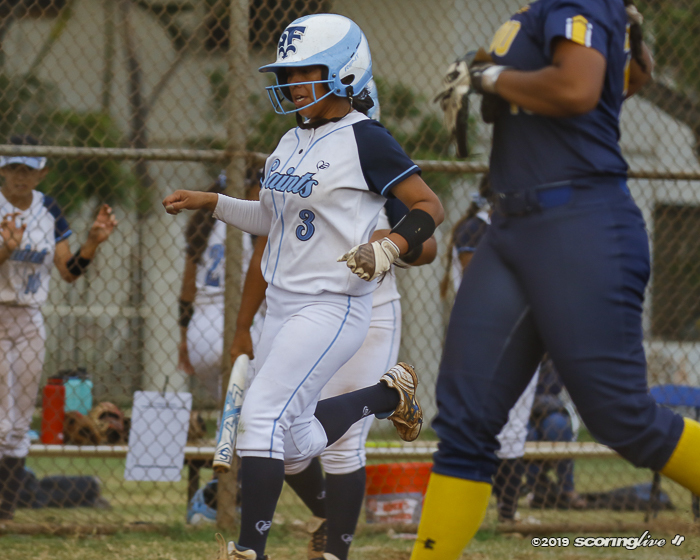 "Coming into the box my second time, it actually really helped me because I knew what I was expecting." 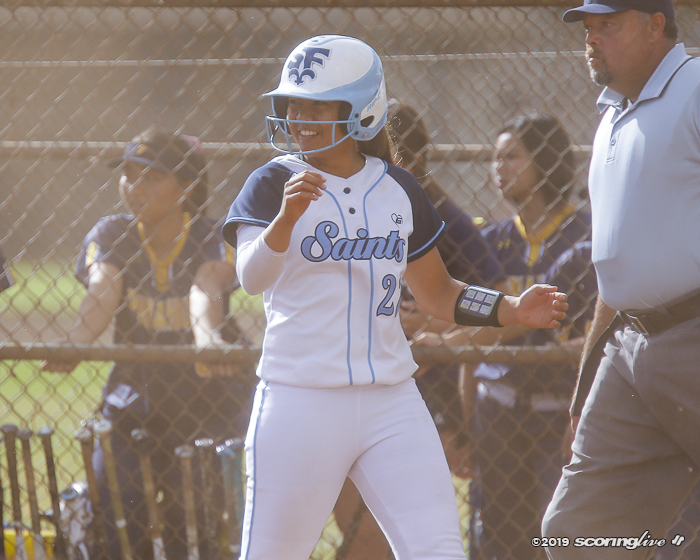 Her first solo shot — to lead off the bottom of the third — extended the Saint Francis lead to 4-0. 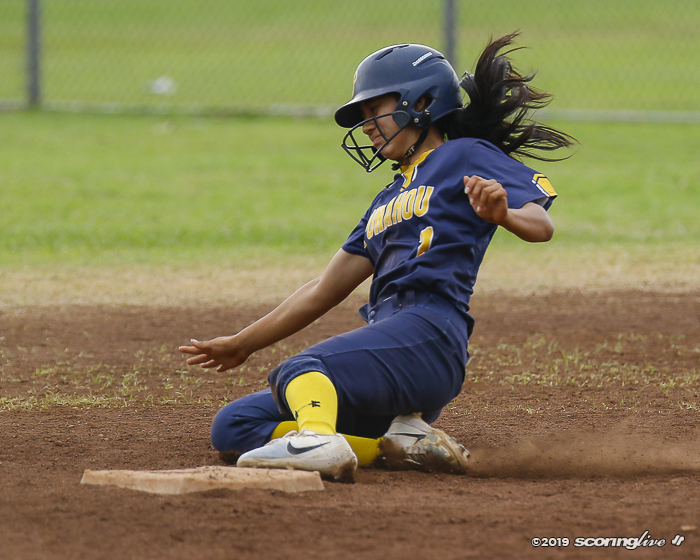 It plated three runs on two hits, aided by three Punahou errors, in the second inning. 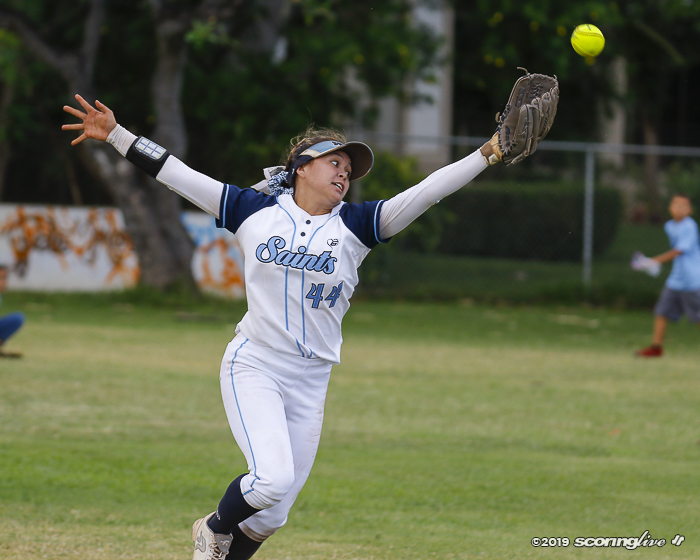 The Buffanblu got on the board with D'asha Saiki's solo home run to right center — her fifth this season — in the top of the fourth, but the Saints answered in the bottom half of the frame after Kaitlyn Kalani led off with a double and eventually scored on a sacrifice fly by Sherreigh Nakoa-Chung. 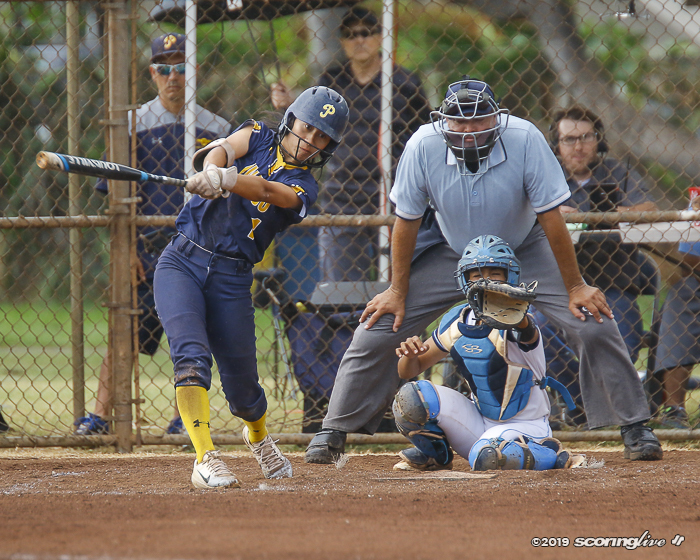 Saint Francis led 5-1 after four innings, but Punahou sent nine batters to the plate and scored four runs on three hits — all with two outs — in the top of the fifth. 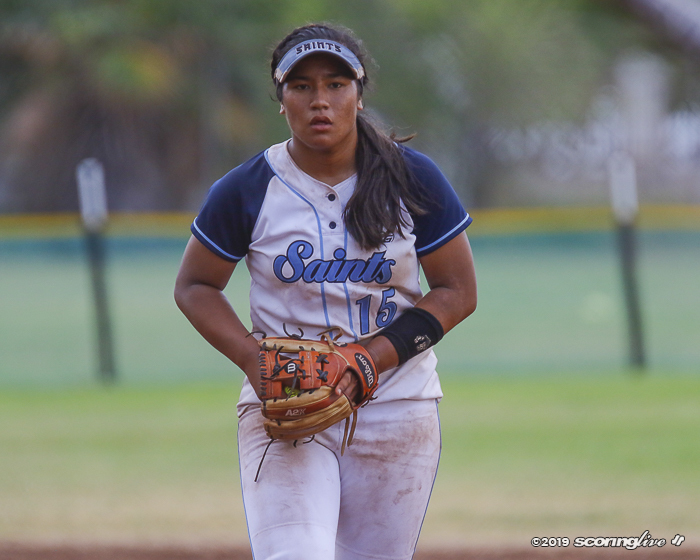 Tiani Wayton's 3-run home run pulled her team within a run and chased Saints' starting pitcher Sierrah Kupihea from the game after 4 2/3 innings. 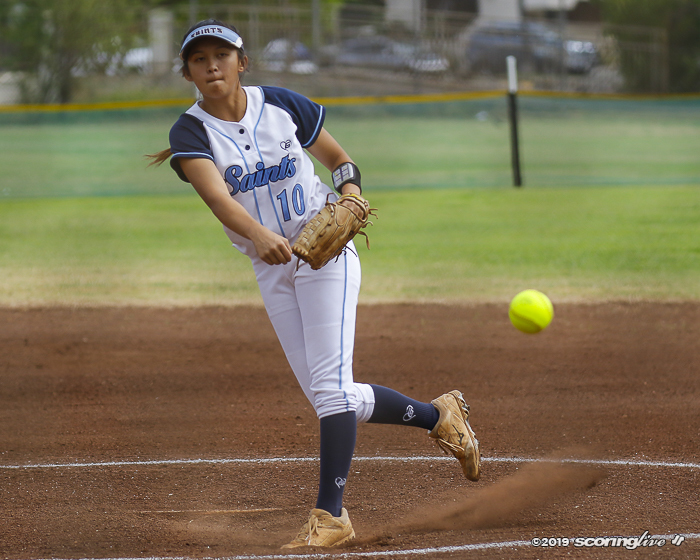 Kupihea scattered five hits, walked a batter and struck out one. 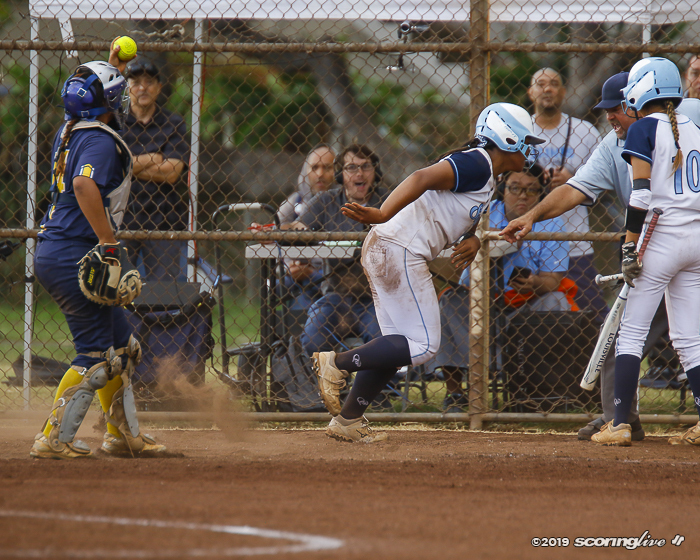 The Buffanblu evened the score at 5-all with Martinez's RBI-single to score Saiki from second a few batters later, but Keliinoi made sure it was short-lived. 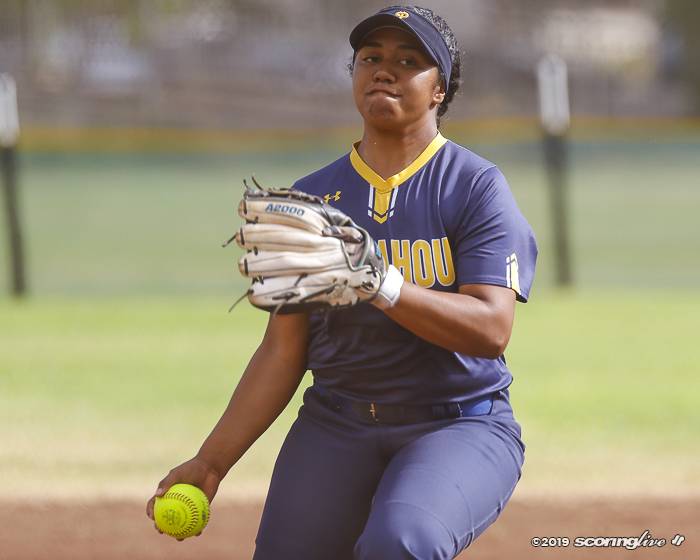 Keliinoi crushed her second long ball, and fifth of the season, on a 2-1 pitch from Martinez to lead off the bottom of the fifth and give her team the lead for good. 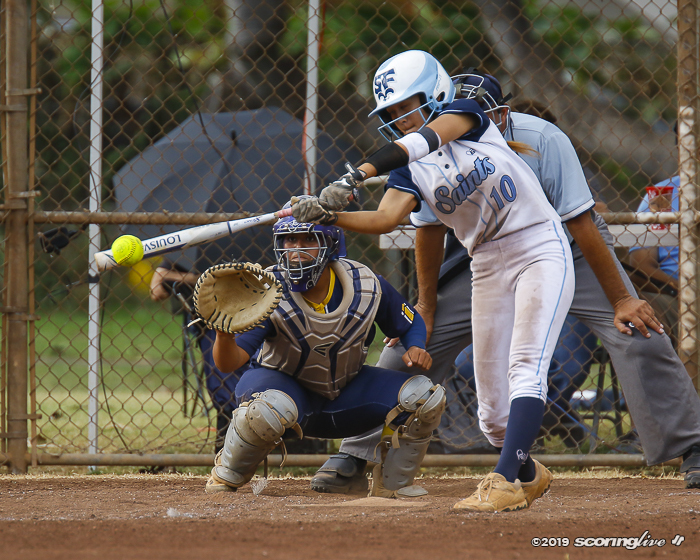 "In my head I was like, ‘OK, this is a hitter's count,' even though it's not as much of a hitter's count as 3-1, but I was just getting ready for the pitch and thinking get on base, get a base hit. 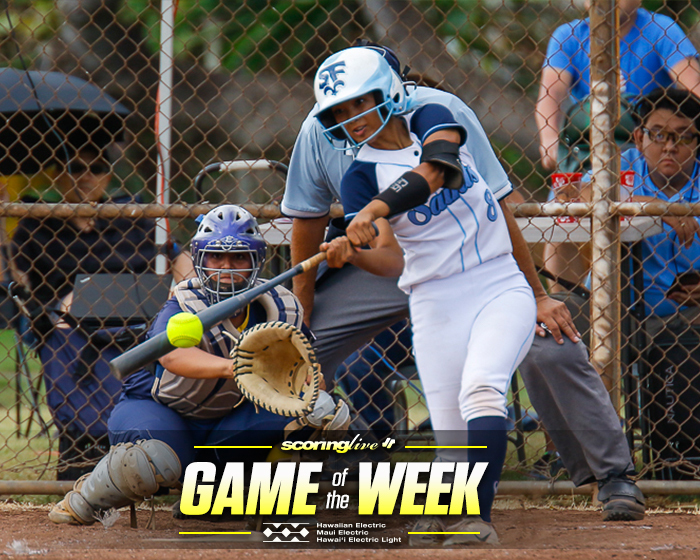 I wasn't really expecting the home run, but even though it was good and we got it, I'm still glad but I just wanted to get on base to help my team score," Keliinoi said. 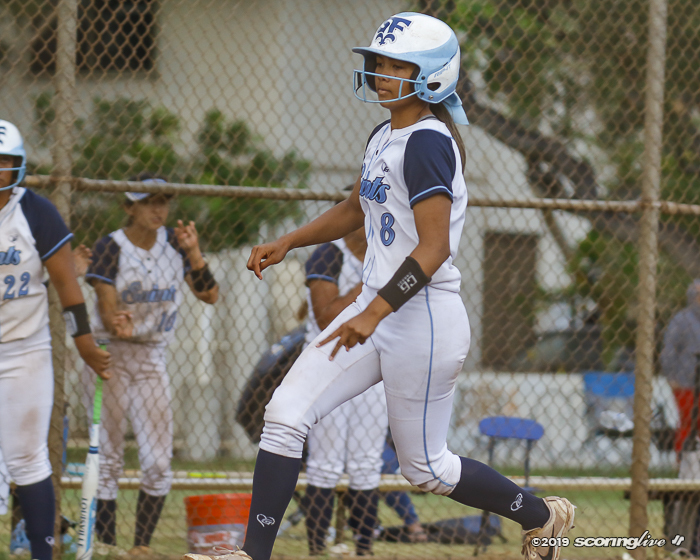 Saint Francis added a run in the inning on a Kalani sacrifice fly to score Shaylann Grace to stretch it to a 7-5 lead. 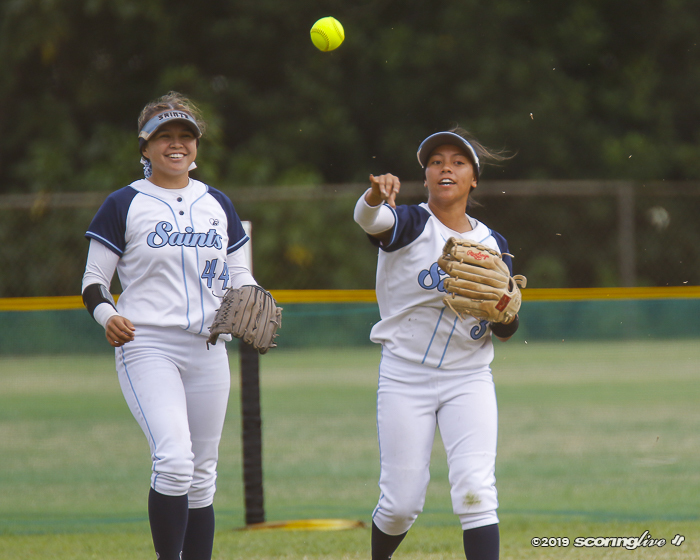 The Saints sent eight batters to the plate and scored four more runs on three hits in the sixth. 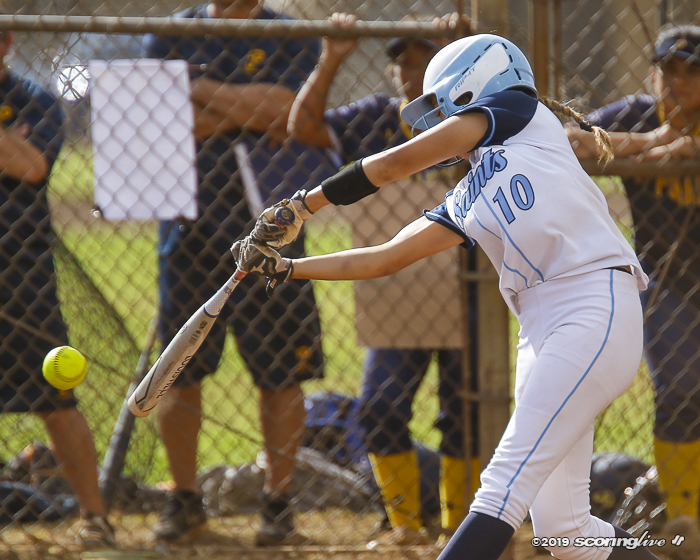 The inning was extended by a couple of Bufanblu errors. 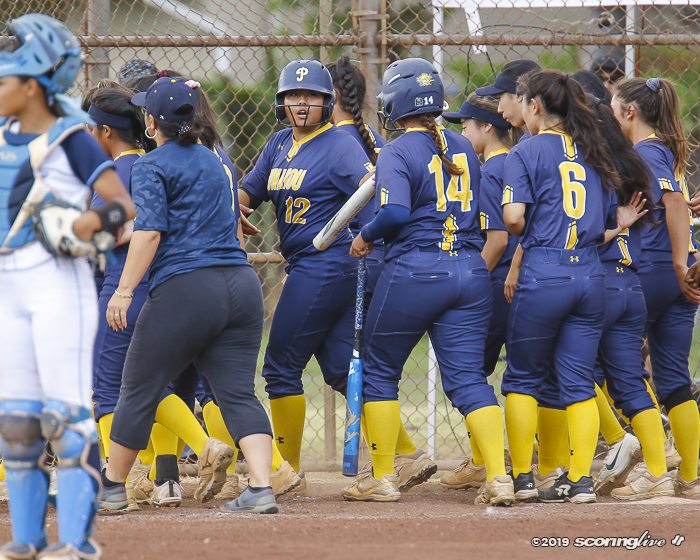 Langsi said he reminded his team of its previous meeting against Punahou, when it failed to hold on to a six-run lead in the late innings and went on to lose by a run. 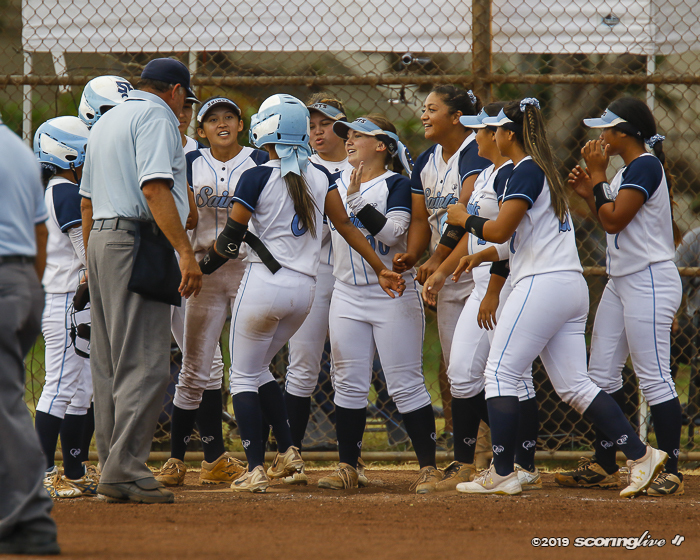 "We needed those insurance runs because we remembered the last time; It seems like the six runs weren't even enough," Langsi said. 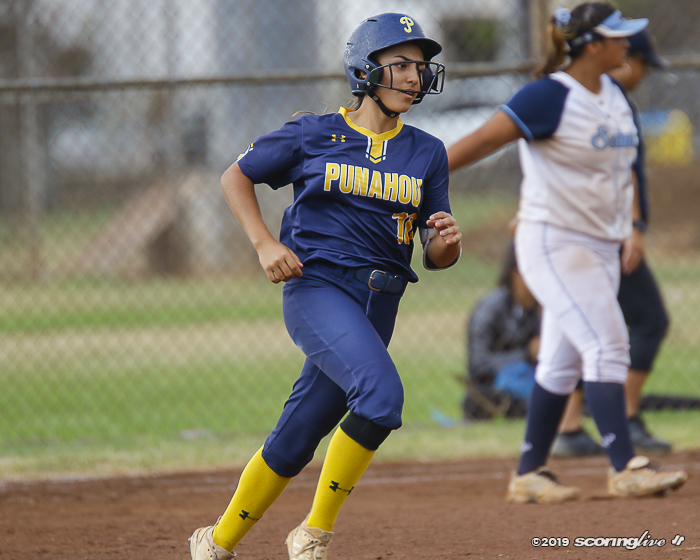 Punahou managed a pair of runs in the top of the seventh, but ultimately saw its state-best 13-game win streak come to an end. 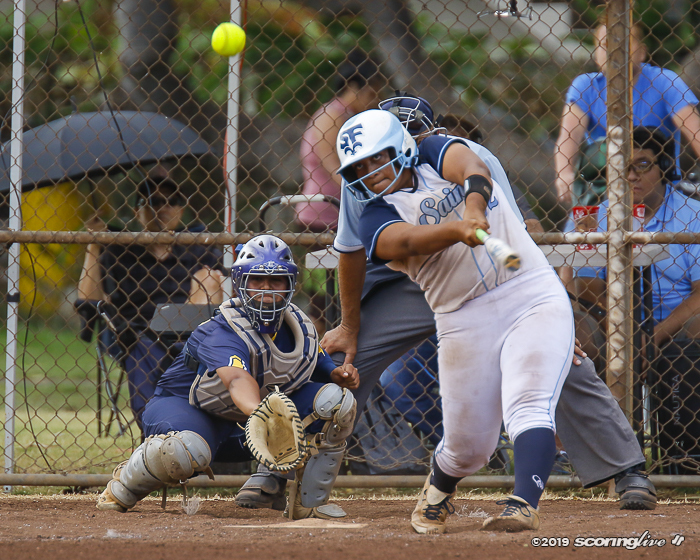 "It really boosted our energy," Grace said of the win. "We wanted to come back after we lost to them the first time and to get the win after they won 13 straight, to stop that felt real good. 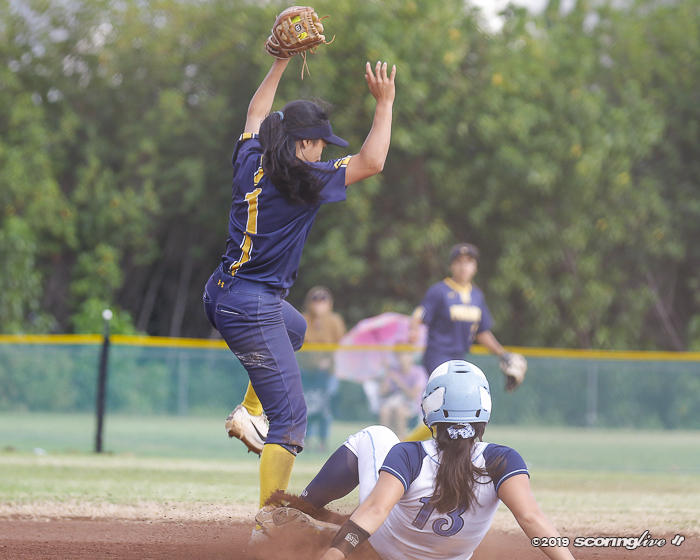 It felt like a championship game, honestly." 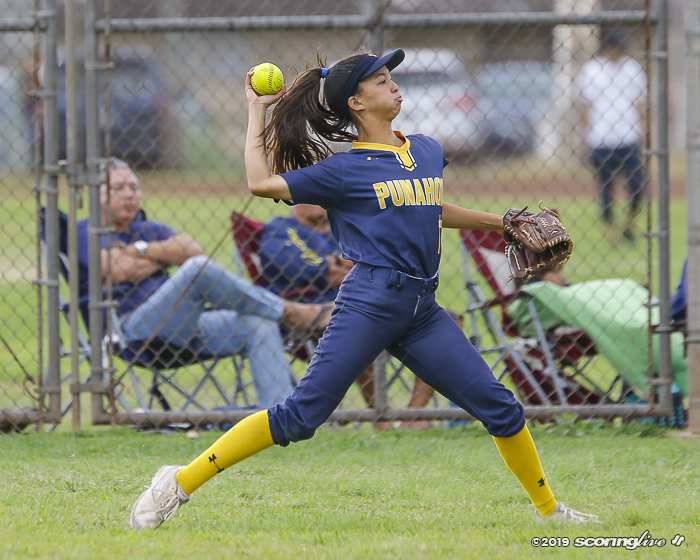 Grace, who goes by the nickname Marie, also allowed two hits and one unearned run in 2 1/3 innings pitched in relief of Kupihea, who picked up her first win since March 28 to improve her record to 5-1 on the season. 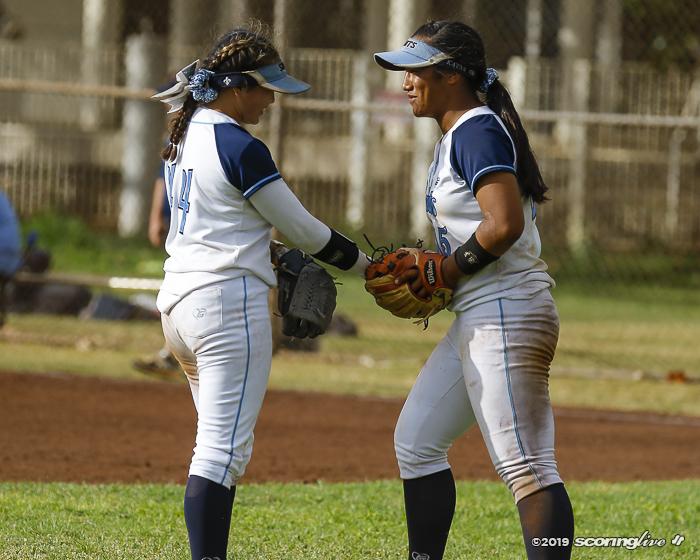 "They did an amazing job," Keliinoi said of the duo. 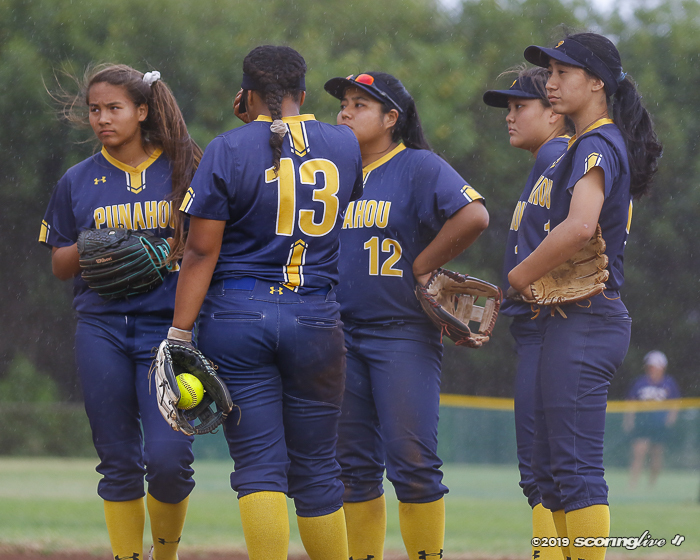 "I mean, pitching to Punahou themselves, they have big bats, especially their 3-4 hitters. 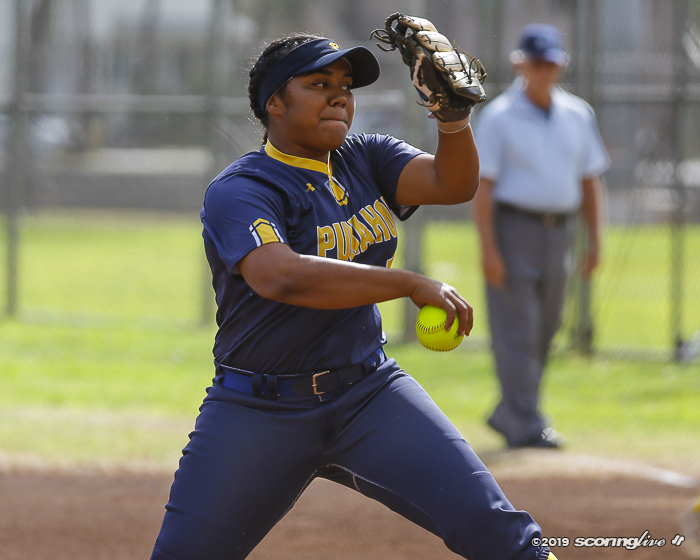 Hats off to Sierrah. 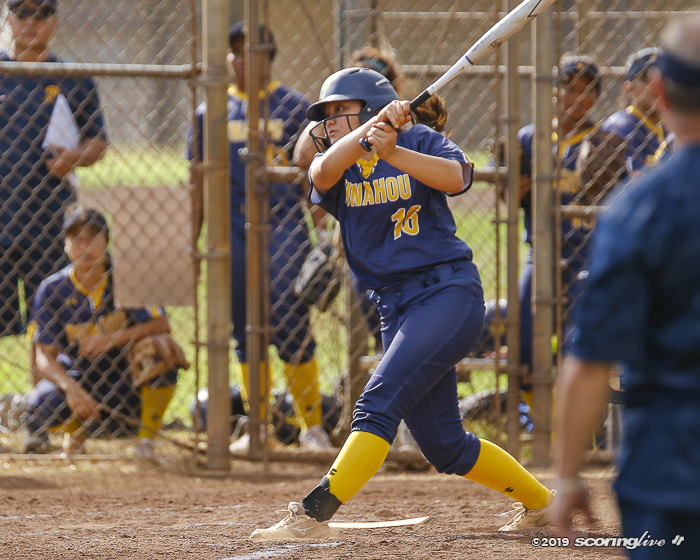 Even though they cut into our lead, Marie was there to pick her right up and take it right back." 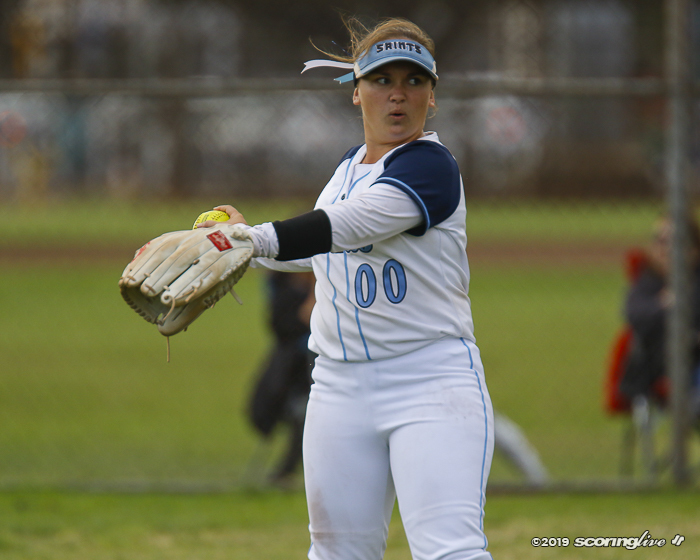 Martinez went the distance for the Buffanblu and was charged with nine earned runs on 11 hits with two walks in six innings of work. 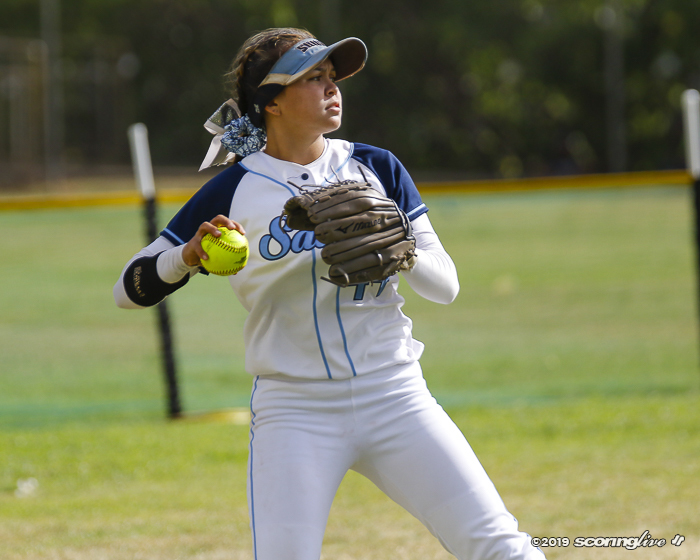 Martinez, who had won her last nine outings entering the game, batted 2 for 4 with three RBI in the loss. 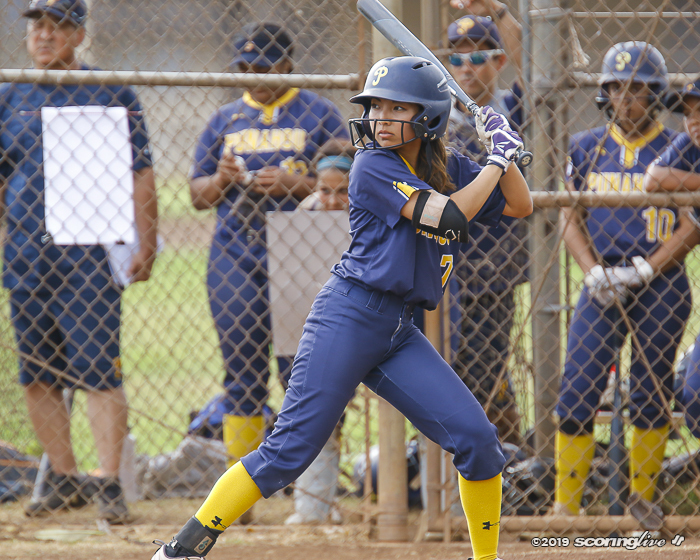 Liana Heshiki batted 2 for 4 with a double and in addition to her solo homer, Saiki also walked twice and scored three times. 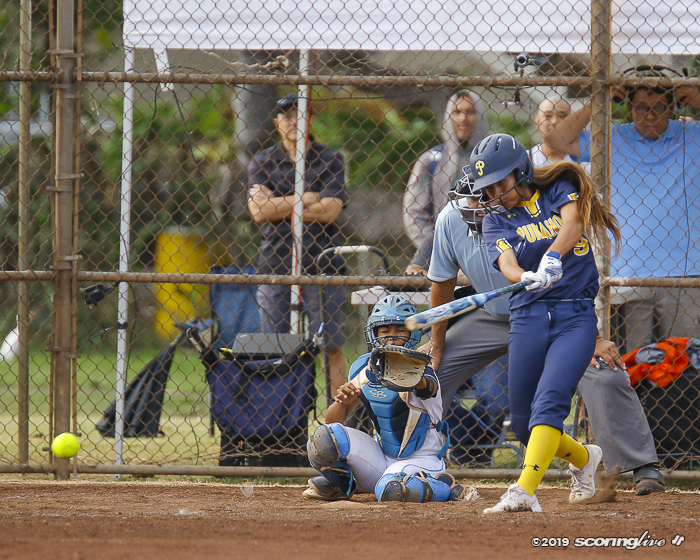 Kalani (2 for 3, double, sacrifice fly, 2 RBI, 2 runs), Grace (2 for 3, walk, 2 doubles, RBI, 2 runs) and Kailee Mahelona (2 for 3, sacrifice fly, RBI, run) also paired hits in the win. 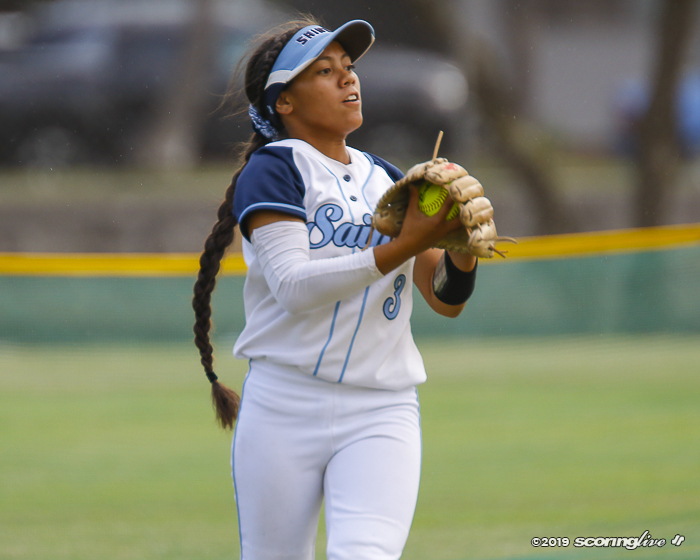 Neither team was at its best defensively as Punahou committed four errors and Saint Francis recorded three. 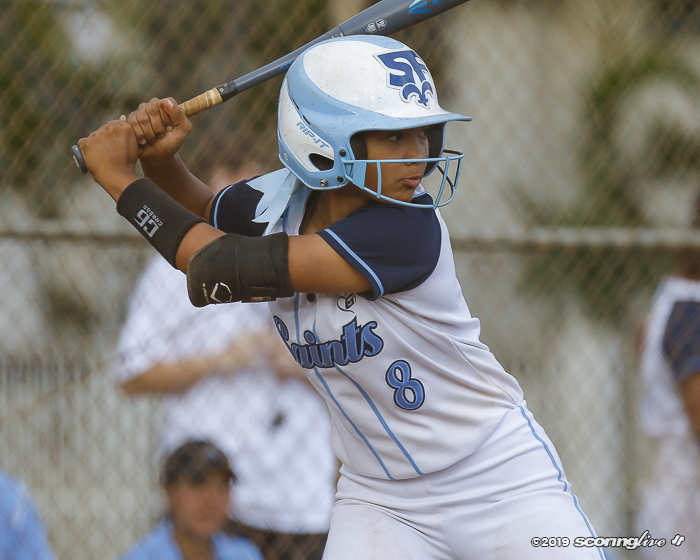 Saint Francis has already secured the ILH's berth in the D2 state tournament. 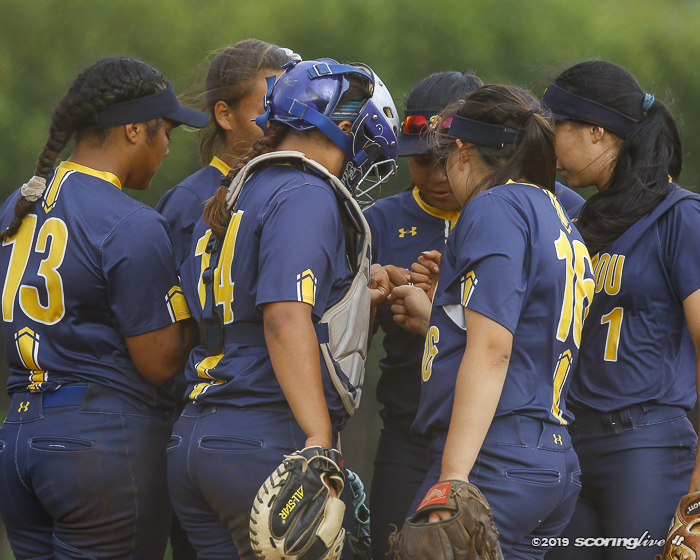 It will close out its league schedule against Damien (0-14) Thursday before an 18-day break until the first day of the state tournament on May 1.